All payments are made directly via the app, whether the payment covers a monthly subscription or an hour jumping into a meeting. Plus, for parks with hourly prices, your team or visitor only pays for the minutes that they parked for - they simply begin a parking session when they arrive, and end the session when they leave. 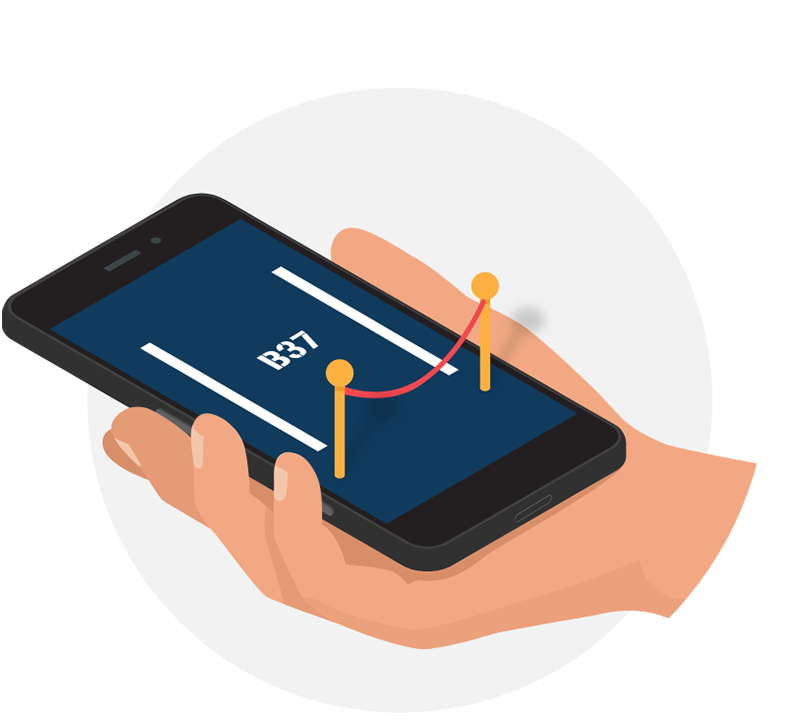 Whether you provide free parking, charge an hourly and daily rate, or have monthly subscriptions, your team will know in advance the price of their park. Parkable for Business supports two and four-wheeled friends of all kinds, and encourages businesses to make use of all of their space, including those corners that don’t fit a car, but are perfect for a scooter. 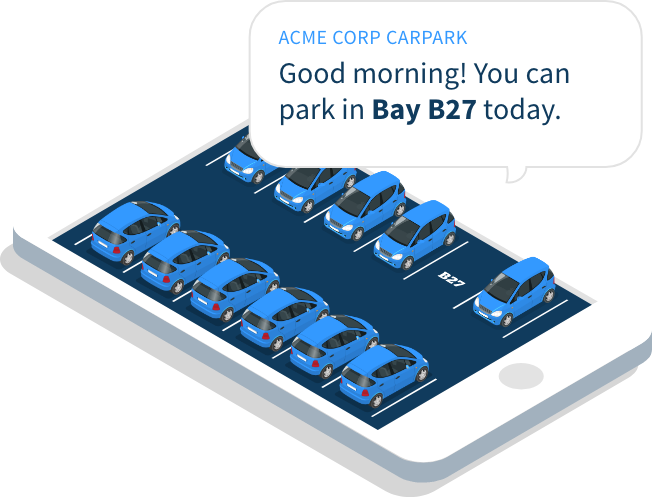 With payment in-app, Parkable for Business doesn’t need costly ticketing machines and punitive hardware contracts. Flexibility is (figuratively) our middle name! With Parkable for Business, you know at any given moment which bays are in use, which are available, and who is parking where. You also know which parks have already been reserved for tomorrow. By collecting this information over time, you can continuously use your parking space more efficiently. Parkable for Business allows you to allocate sections of your carpark to different groups within the business. For example, you can put the marketing team on level 1, near their offices, and sales on level 2, near theirs. Your business may have more than one car park, or parking bays scattered over different locations. Parkable for Business allows you to manage all of them from the same platform. At request, the app can be integrated with your park’s access control, so your team can just give the app a tap when they arrive at work for entry to the park. Park in the same bay each day with a subscription. This is best for team members who come into the office everyday, and always drive in. On days that a subscription bay isn’t needed, they can share it with the rest of the team so someone else can use it! For those without subscription bays, a park can be requested the day before. This way, everyone knows in advance whether there will be a bay waiting for them in the morning, and whether they should organise alternative transport. When there are bays available, those who didn’t request a park can park casually. In the morning the team can check from home whether a free bay is available, and if they want it, just use the app to reserve the spot! If there are no parks available in the work carpark, your team can check out the rest of the Parkable app - there may be casual parks nearby. 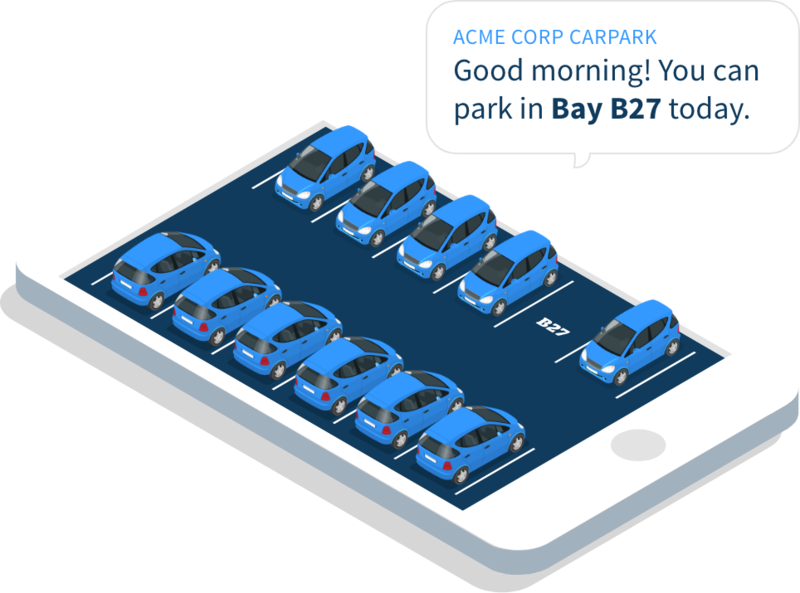 In the future, Parkable for Business will also make it easy for your team to rideshare to work. When you don't need it, share it! If you have a subscription bay and don’t need it for the day, why not make it available to others in your team? Businesses can even incentivise sharing, by giving part or all of the profit made from sharing the bay back to the subscription holder. Wins all around! Ridesharing is a great way to lessen the demand for carparks, save your team money on transport, and reduce your business’s carbon footprint. Parkable for Business is working to make ridesharing easy to organise, too - watch this space! At Parkable, our goal is to encourage better parking behaviour by using space efficiently and reducing the number of vehicles on the road - and this means sharing space and sharing transport. Both of these also create an increased feeling of community and equity in the business. So when someone is doing an awesome job, why not celebrate it? The Parkable for Business LeaderBoard keeps tabs on who is going the extra mile, celebrates their effort, and encourages everyone to take part in the sharing. Simple and FREE to implement, with pricing tailored to your business requirements and no crazy contracts.